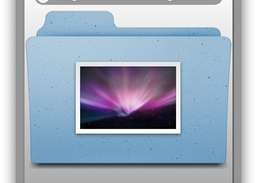 Do all your folder look the same? - No longer! 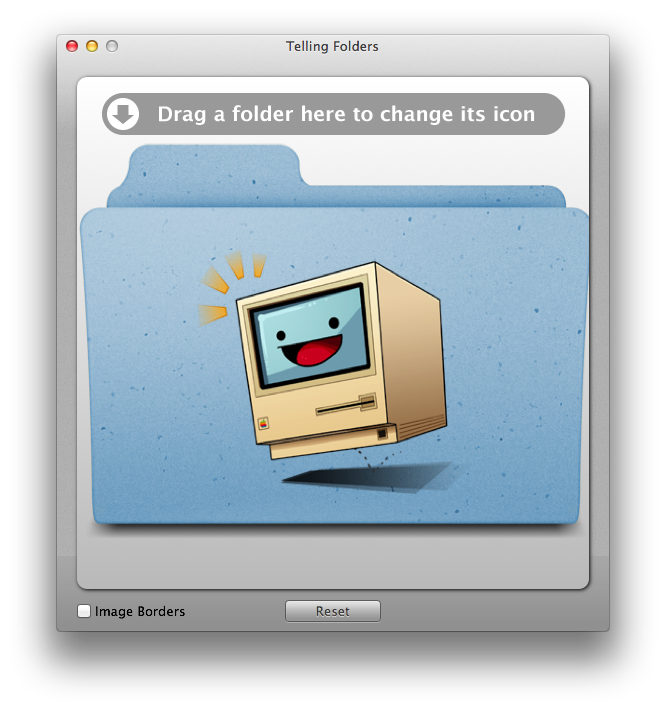 With this little utility, you can easily put any image on top of your folder icons to make them easily distinguishable. 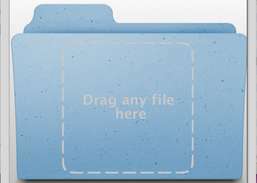 QuickLook is supported, so you are not limited to images alone. 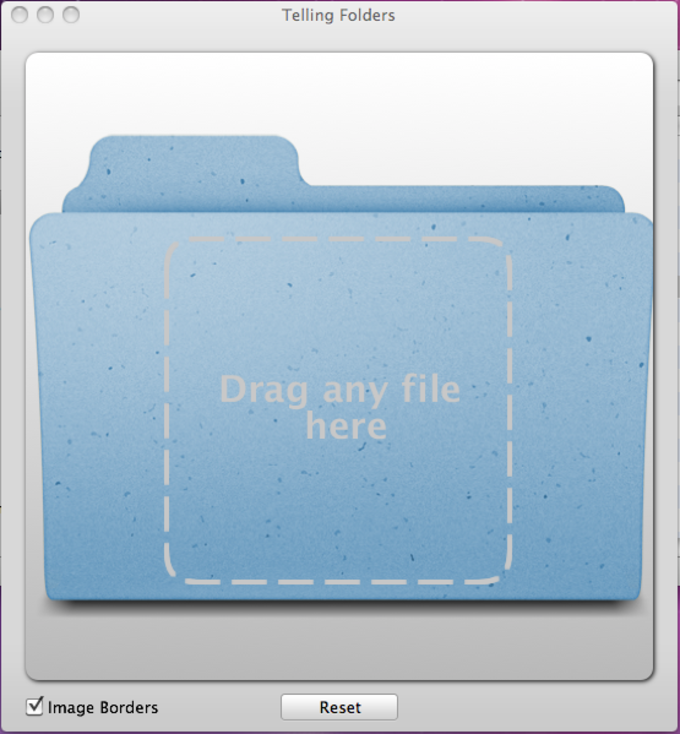 Drag any file in and see a rich visual representation on top of the standard folder image. 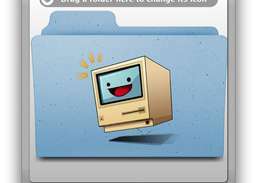 Drag a folder in to set its icon - easy. 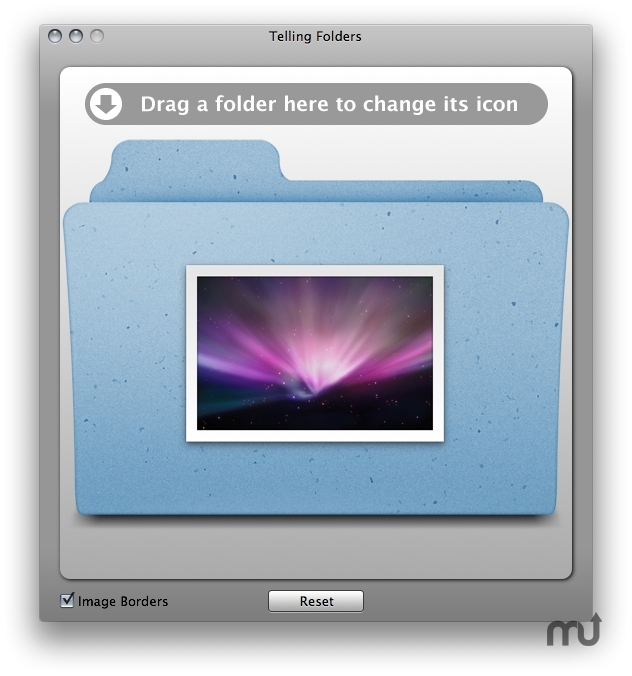 If you accidentally change a folder's icon, Telling Folders' Undo function has you covered.